The Sennheiser SH 350 IPchannels perfect quality sound to both ears for sustained levels of concentration during conversations. 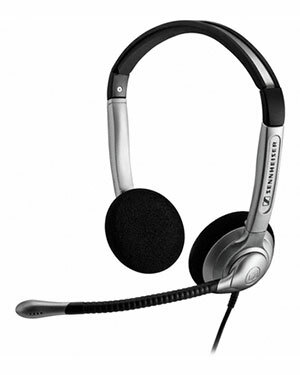 A stylish, high-quality solution for professionals who value premium comfort and superlative speech quality. This wideband headset delivers a more nuanced soundscape where voice transmission is perceived as warmer and more natural. Use SH 350 IP for VoIP communication via softphones on PCs / MacBooks and IP desk phones.